The beautiful, serene, and rustic Willow Pond Venue in Princeton, Texas, was the setting for this romantic styled shoot. The shoot featured beautiful floral arrangements and one-of-a-kind stationery. 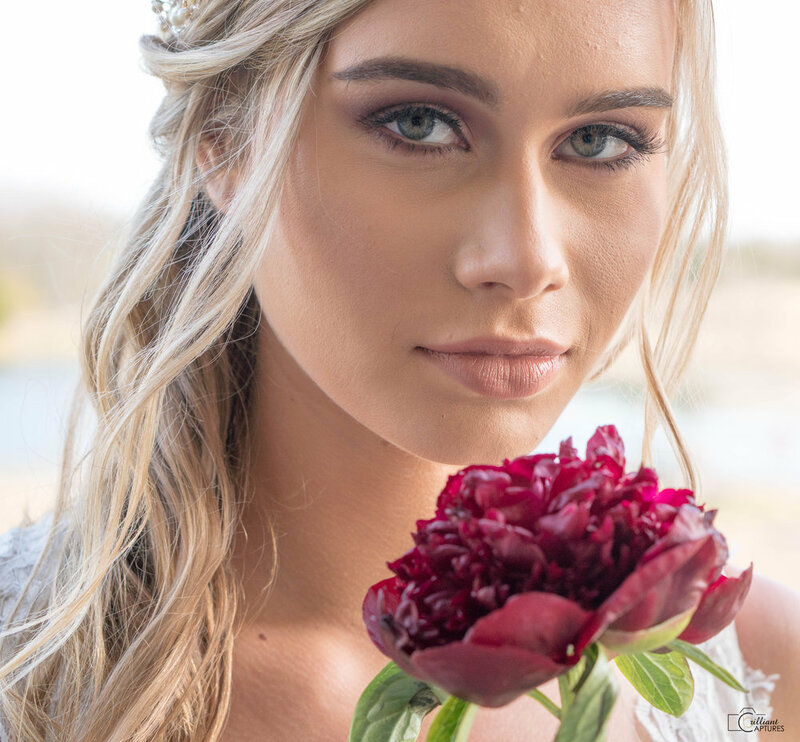 The bride's beautiful lace gown, natural make-up, and sweeping partial updo were complemented by the serene backdrop that is only available in the beautiful Texas countryside. This submission perfectly details burgundy, blush, ivory, and lace, representing a perfect color palette sure to steal any bride's heart. We are absolutely delighted to be exclusively featured in Artfully Wed, a wedding blog with real weddings, wedding inspiration and more!